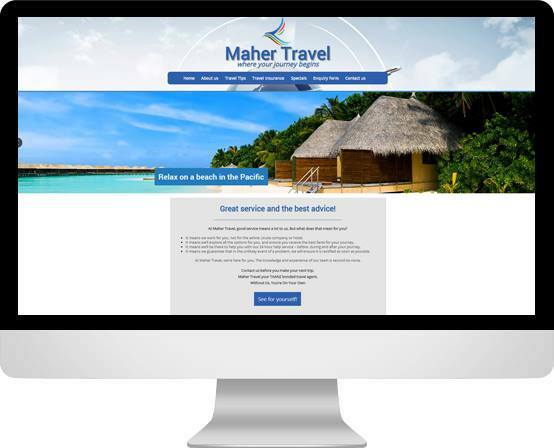 The team at Maher Travel was wanting to take their website, and their business, into the 21st century. They’d been using a free service that let you build your own website online, but felt restricted by the limited features that service offered. So we came on board and built them a custom WordPress theme to better represent their immense knowledge and experience in the travel industry.